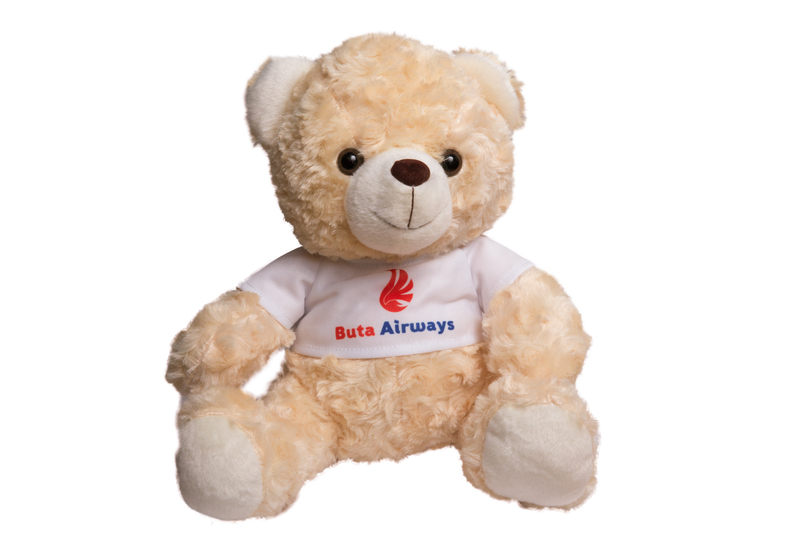 Teddy bear in a white T-shirt with the logo of Buta Airways. A great gift for both the fans of the airline and all children. It is made of high-quality materials and the pattern is resistant to mechanical influences. It can be washed in the washing machine. Height - 28 centimeters.